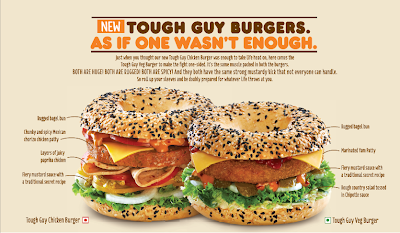 Dunkin' Donuts goes for the male demographic in India with new Tough Guy Burgers. 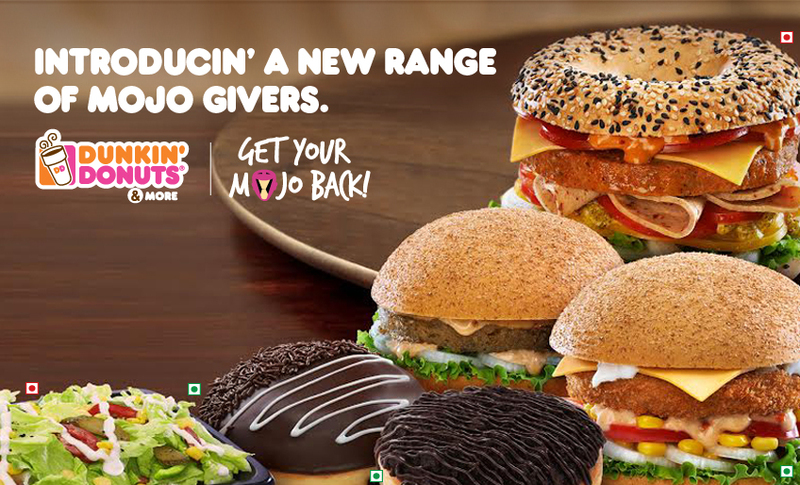 Accompanied by the tagline "Get Your Mojo Back! ", the new sandwiches come in both a relatively stacked vegetarian and non-vegetarian (i.e. chicken) version. The key descriptors that Dunkin' is going with for the sandwich are "rugged," "huge," and "spicy." 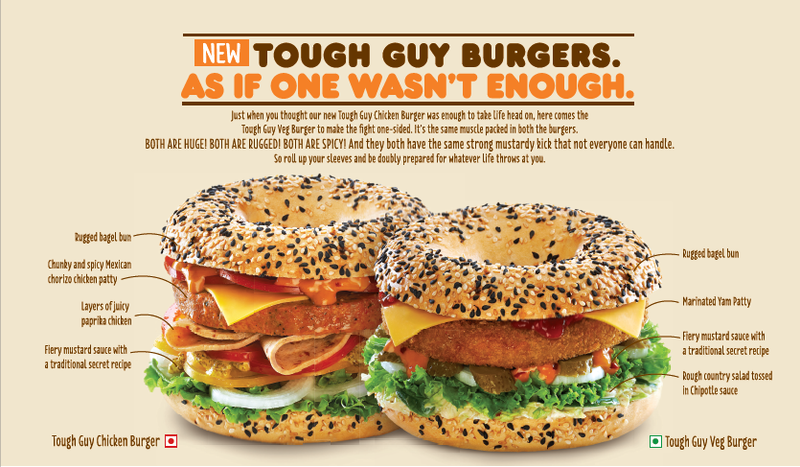 The Tough Guy Chicken Burger's key features are a "Rugged" bagel bun (apparently "rugged" means it comes topped with black and white sesame seeds), a "chunky and spicy" Mexican chorizo chicken patty, sliced paprika chicken, and fiery mustard sauce. Also along for the ride is a slice of cheese and veggies. Instead of chicken, the Tough Guy Veg Burger comes with a breaded yam patty and a "rough" country salad tossed in chipotle sauce. The rest is the same as you'd find in the chicken version. And how much does all this "mojo" cost? The Tough Guy Chicken Burger goes for 175 rupees (~$2.84 US), while the veggie version comes in at 130 rupees (~$2.11 US). The sandwiches are part of a larger "Mojo Givers" menu that also includes a corn and cheese burger, a mutton burger, and two extra chocolaty donuts (named the "Alive by Chocolate" and "Death by Chocolate").